Prince Charles and Prince William refused to meet Donald Trump during his four-day visit to Britain, according to reports. 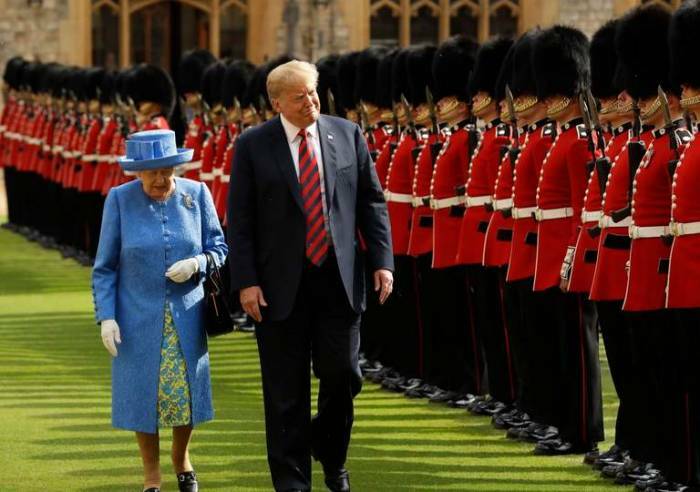 The royals, who are first and second in line to the throne, declined to take part in the trip and left the Queen to meet the US President alone, it is claimed. Instead, the Prince of Wales, 69, attended a board meeting at Highgrove and an event with Gloucestershire Police while the Duke of Cambridge, 36, played in a charity polo match. “This business of Prince Charles and Prince William not being there for the Trump visit was a snub,” an insider told the Sunday Times. It was claimed the princes made their reluctance clear during informal discussions about the arrangements for the trip. Prince Charles has often accompanied the Queen following the retirement of Prince Philip, 97, from royal duties in August last year. Buckingham Palace said that it had always been planned for the Queen to greet Mr Trump and his wife Melania alone because it was not a state visit. "It was entirely in line with standard practice for guest of government visits The Queen to receive the President and First Lady," said a palace spokesperson. "The arrangements were mutually agreed between the Palace and the UK and US governments. There was never a suggestion that other members of the royal family would take part." The palace said that similar arrangements were made for the Turkish president's visit in May. Mr Trump described his meeting with the Queen as "really something special" in an interview with Piers Morgan on Good Morning Britain. The US president also said he liked the whole royal family, adding: "I think the whole family have good energy." He was accused of breaking royal protocol twice within minutes of meeting the Queen at Windsor Castle by failing to bow and walking in front of the monoarch. Mr Trump flew to Helsinki on Sunday ahead of his one-to-one meeting with Russian president Vladimir Putin.